Since you first learnt hypnosis, have you ever felt that there must be something more out there? That perhaps you could expand your communication skills to help more people more of the time? That there may be some 'secret way' to become highly skilled with hypnosis? There's nothing worse than knowing you could help a client if only they would go into hypnosis properly. Or the frustration of knowing how to help someone if only they could 'absorb' the idea you're trying to get across. Sadly, because much hypnosis training delivers such a one-dimensional theory of hypnosis, graduates are left feeling under-confident in their hypnotic abilities. So many hypnosis schools subscribe to the old perception of hypnosis as 'softly spoken orders'. That's like saying singing is just shouting with a tune. Real hypnosis involves a deep understanding of the fundamentals of psychology and communication. "I've been involved with hypnosis for 67 years (I'm 80). I've taught it for nearly 20. I've taken courses all over the world. Never, never have I had so much fun as taking your course." Learning how to use your words surgically will give you a whole new approach to hypnosis that will put the joy back into using hypnosis to help people. Every hypnosis session will become a creative journey that, while being colourful and fun, will be therapeutically laser-guided. One area of hypnosis that we regularly get questions about is hypnotic phenomena. The majority of hypnotherapists are under-confident about their abilities to get phenomena from their clients. The uplifting thing is, if you know how to approach phenomena, with a couple of key language tools the whole process becomes easy and pressure-free. Would you like to be able to confidently elicit hypnotic phenomena such as arm catalepsy, hand levitation, time distortion and amnesia? And just as important, understand just how these can be useful in therapy? At the heart of Precision Hypnosis lies the ability to know what naturally draws people's interest. By drawing on natural human attributes, you can become a compelling and persuasive communicator. People will be naturally drawn to listen to you as you weave hypnosis into your everyday communication – so you can influence every human encounter for the better. What sort of things will you learn on the Precision Hypnosis course? We were once asked at a workshop for the 'secret to the inner circle' of hypnosis. We laughed at the time (it was a long time ago!). It is clear now that there are 2 types of hypnotists. Those who are skimming the surface and having moderate success, and those who deeply understand the fundamentals of hypnosis. How to use a rarely taught technique called seeding – this is what master therapists use to dramatically increase their success rate; it's invisible to the untrained eye. The ability to induce rapid and deep trance states. How you can hypnotize someone just with your body language and tone of voice – you'll never work from a script again once you understand this! Key phrases that instantly trigger a hypnotic response. How to feel utterly confident in your abilities as you hypnotize, and how to project that confidence to your client and infect them with it. Trying to convey what this advanced hypnosis course will bring to your own experience of hypnosis is a little like trying to tell a good home cook what their cooking will be like once they've trained with Gordon Ramsay. It's not that you'll just learn a few more recipes, you will see food and flavour in a whole new way. Bypass conscious resistance effortlessly and get your clients where they need to go quickly, with the minimum of fuss. Gain a reputation as a language artiste who can perform effective therapy at a dinner party as easily as in the therapy room. Shape your own mindset to make hypnosis so much easier – so your clients effectively hypnotise themselves. Learn how to use the hidden power of your own expectation to ease your client into hypnosis. Hypnosis becomes so easy when your mindset is right. Precision Hypnosis will create in you a paradigm shift which will revolutionize your experience and enjoyment of using hypnosis – and your success rate. Go beyond 'close your eyes and relax' and enter a world where hypnosis merges invisibly with conversation to create a heady mix of deep rapport and unconscious change. Induce hypnosis in your clients at will, without the normal 'signposts' of trance. Learn language skills that always automatically make your therapeutic 'next step' obvious. Rise above the need for that 'special place'. Mind-blowing new research that shows how suggestible everyone really is – including you. Possessing this information will give you supreme confidence to use hypnosis to influence and persuade. Why spending half an hour having a chat about your client's problem doesn't help most clients at all, and what you could be doing instead. Why metaphors are hypnotic and how they can slip 'therapeutic Trojan Horses' into everyday conversation. When we train hypnotherapists, we tell them that human psychological problems are really very simple, mechanical things. (It's the people that are complicated ;-)) The right knowledge about how problems work can make therapy much, much easier. The truth about how people make decisions and what effective therapy really changes in people. How to evoke positive emotions conversationally. Two simple, but amazingly powerful ways to magnify the responses you elicit. How you can easily create your own stories to influence and change. How to make someone's problem dissolve in the space of a conversation. Help clients make use of their “observing self” – an innate resource that can free people from problems in minutes. See the underlying blueprint behind presenting problems. How to use pattern interrupts to destabilize a client's problems. Two easy-to-make changes in your language that can connect people to their resources and detach them from their problems. The real reason master hypnotists use hypnotic phenomena like arm catalepsy, and how you can do the same. How you can speak directly to someone's unconscious mind without sounding weird! How to hypnotize confidently when your client does not want to close their eyes. At Uncommon Knowledge we have more than 20 years' experience of delivering hypnosis training to both public and professionals. This course took more than a year to create, drawing on all our experience while blending in the latest research. We've created teaching tools and materials that will make your course effective, fascinating and fun. The course is backed by the latest scientific research, so you'll be using approaches at the cutting edge of modern psychology. The course leaders have a wealth of hypnotic experience and are fun to work with. You will benefit from quick, friendly admin support throughout the course. You will be able to make new acquaintances and friends during the course should you wish to, by chatting on Uncommon U and taking advantage of our Buddy Up program. What's included in the 'Precision Hypnosis' course? 1) Comprehensive course notes – 181 pages in book format, sent to you by post if you buy the Digital + Physical option and available as a PDF online. 2) Course pack for your bookshelf – includes your course notes book plus other materials on CD if you chose the Digital + Physical option, the CD contains all the audio and written materials from the course. 3) 5 videos containing live client demonstrations of the techniques you'll learn on the course. How to become a master hypnotherapist. 5) 2 live Q&A calls with Mark and Joe where you can ask questions, either live or by email. We also record them for you to download in case you can't make the live calls, and they'll be available as downloads (in mp3 format) the following day. 6) 7 relevant psychology podcasts we call 'Audio Insights' on topics such as Hypnotic Pain Control and The Art of Confusion. 7) 8 of our Hypnosis Downloads worth US $119.60, on topics like Super Confident Hypnotherapist and Glove Anaesthesia. 8) Video analysis of a hypnosis script by Joe, taking you step by step through the principles of Precision Hypnosis thinking behind them. 9) Exercises and tests for each session to help you integrate the skills you learn. 10) Certificate of completion on successful completion of the course, you will receive a personalized certificate. If you're not happy with the quality of Precision Hypnosis, just let us know within three months of purchasing it and you will get a full refund. 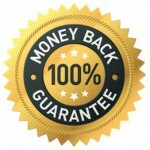 We have such faith in our products that we're happy to offer this 90-day guarantee period for all of them. For me, hypnosis has been the path to a deep understanding of human behaviour and how to help people confidently, regardless of their problems or goals. I hope that this has come through in the materials and that you feel that you can join me on Precision Hypnosis so I can share with you everything I've learned about the deeper side of hypnosis. This session [Session 4] of the Precision Hypnosis course was a particularly great learning experience for me -- such a wealth of concrete examples is so helpful in a distance environment in which it's difficult to ask clarifying questions, and it also enriches my practice of hypnotherapy with ideas I can apply directly and immediately to sessions with clients. Cynthia Pulham, Certified Clinical Hypnotherapist, Colorado Springs, CO, USA. This course was a complete enlightenment for me. My skill set has gone from naïve and unsure to feeling well equipped and confident in dealing with whatever my clients bring to me. I'm learning to trust my intuition and enjoying the creativity that flows when I let go of parroting scripts. This course helped to understand how my own caring interaction can be honed to create real lasting change in another human being. A big thank you to the team at Uncommon Knowledge. Julie Bridson, Registered Nurse, Canada. The course material is first class, I thoroughly enjoyed it. I have quite a bit of knowledge of hypnosis and NLP, etc., gleaned over the years like little gems. I feel your course allowed me to join up all the parts to consolidate with what I already know, better understand the details of things I thought I knew, learn a whole lot more too, and tie them all together (like pieces of jewellery) into something precious. Many thanks and I will be sure to review it again and again to drill it in. Eddie McEvoy, Instrument Technician, Qualified Hypnotherapist and Life Coach, Ardrossan, Ayrshire, Scotland. Just wanted to say thank you for a wonderfully engaging and informative course. I've just finished and am going to whisk off in a moment to get my new badge to display on my website. Maybe finished is the wrong word though, as I'm looking forward to the learning going on for a long time yet, and that's pretty cool. Thanks for your suggestions guys, the seeds have grown roots and are blossoming as we speak. Tracy Carruthers Pagiatis, Hypnotherapist, Peaseway Clinic, Newton Aycliffe, Co Durham. Thank you Mark and Joe, what a truly enriching and informative course! I looked forward to this course for quite some time and now (as with every course I have done with you) I am sad it is over as I found that each day I learned such informative, interesting, and exciting information. Mark, I loved your final video and the fact that you said "be brave" - such good encouragement. Will definitely keep going back through all the material until it becomes second nature. Lovely "meeting" Joe at last. Anni Casey, Hypnotherapist/NLP Practitioner, Sydney, Australia. Thanks, Mark and Joe. I really enjoyed this course. It ratified and explained a lot about hypnotic phenomena that I've observed and used during my time as a hypnotherapist. It also clarified many issues for me which I've questioned regarding approaches that I've come across in the myriad of books that I've collected over the years - many of which I no longer require. You've made the whole process of hypnotherapy so much more credible and usable by providing explanations of tools and a structure in which to use them. Thank you so much for bringing the knowledge and research together. I feel more validated and have a well grounded set of expectations around the outcomes of therapy as a result of the courses I've taken with Uncommon Knowledge. In fact, you've helped me overcome a huge anxiety regarding the efficacy of hypnotherapy. I can now put successes and failures into a better perspective and give anxiety the boot. Beverley Arnold, Hypnotherapist, Kiama, Australia. As I continue to develop new skills and discover new applications, having knowledge about more precise techniques and practices is invaluable. Working through the course material has also helped with confidence. I look forward to revisiting the material from time to time to strengthen my skill and decision-making about when to use the skills. Stephen Pinsent, Psychologist, Newfoundland & Labrador, Canada. Precision Hypnosis is my third course with the wonderful Uncommon Knowledge and it's been a great investment in my ongoing professional development. I have almost completed the How to Lift Depression Fast course now, as sudden onset health issues put me out of the picture for most of last year. I have a diploma and certificate in hypnotherapy along with a background in psychology and have been self employed for three years now as a counsellor, life coach, and hypnotherapist. I have found the courses at Unk to be so much better in terms of content than those I paid $1000's for. I look forward to completing the Precision Hypnosis course very soon as the therapy, demonstrations, and use of hypnotic language by Mark and his team is second to none. The course content and materials are excellent and very detailed and the courses are structured in such a way that the information is easy to learn and implement. Highly recommended. It's great to learn skills that you can start implementing straight away instead of just theory. I have been practising as a therapist for around 9 years now and during that time, I've done a number of courses both online and in person. The Precision Hypnosis course has to be one of the best courses I've done so far and is very different to many of the other online or distance learning courses available. The quality and quantity of information provided, variety of subjects covered, support, advice and interaction make it very interesting and informative, whilst being enjoyable too. I liked the way that although it was an online course, there are real people behind it as well as real feedback and interaction. Although I was away for the live Q&A calls, I listened to them afterwards and found those really useful too. Many online courses are quite faceless and impersonal, so I think the contact and interaction aspects of this (and other Uncommon Knowledge courses) is what sets it apart. I've always believed that you learn something new everyday, no matter whether you're newly qualified or experienced. I certainly learned some really useful things from this course and would definitely recommend it. Vicki Crane, Hypnotherapist, Leeds, UK. I have loved this course, thank you so much. It has been really engaging and accessible. I feel much more confident and adventurous and am beginning now to utilise some of my new learning in practice. I will keep going back into the material as it is so helpful to revisit and get a bit more each time! Briony Farr, hypnotherapist and clinical supervisor within the field of cancer support and palliative care, Ilkley, UK. Thank you so much for a very informative, useful, and well-constructed course. This is my first online learning experience and I can't praise it enough. It's been so engaging that I almost feel I've attended an actual 'live' course. I've really valued your responses to my questions through the message boards and the Q&A sessions have added that extra personal touch. I feel that my skills as a clinical hypnotherapist have been greatly enhanced by the Precision Hypnosis course and I've been so impressed that I've also signed up for the Stop Smoking course (which is also living up to expectation). Carolyn Gillan, MBACP (Accred) MNCH, Clinical Hypnotherapist and Counsellor, Sea Change Therapy, Plymouth, UK. I am a practicing Hypnotherapist, and was looking for some further insights, even tools, that I may not be using currently. My hope was that I would breathe new life into my practice, and this course did not disappoint! It was everything and more that I expected. The information is delivered in a clear, concise way, with enough repetition to help cement the learning process. I really appreciated the quizzes at the end of the chapters. I found them to be well thought-out and designed to truly test whether or not the concepts taught had been understood and assimilated. I would highly recommend this course to all Hypnotherapists wanting to improve or add to their skills! Nani Urie, Certified Hypnotherapist, Las Vegas, USA. I would thoroughly recommend this course. It's great value and there is a huge amount of information within it that will elevate the knowledge and experience of any hypnotherapist. I will revisit the lectures as they are so interesting and informative. Julie Larrington, Hypnotherapist, Peterborough, UK. It was refreshing, sometimes challenging and really good to see others at work. The information shared on this course I found vary valuable and would think it would be of great value to anyone in this profession. Great to look at different ideas, update present skills and refresh. If you are thinking of doing the course , stop thinking and just do it. Highly recommend. Suzannah Leighton, Hypnotherapist, Master Practitioner NLP and Mindfulness Coach, Somerset, England. The Precision Hypnosis course was full of valuable and very interesting content which helped me optimise my hypnosis skills and learn more about psychology and the unconscious mind. It was fun and easy to follow, but had very powerful content! Sarah Loveridge, Fertility Coach & Hypnotherapist, Paris, France. I enjoyed the wealth of subtle techniques. The course was very well produced, which made you really able to get these subtleties. What also really helps are all the professionally acted bonus videos demonstrating the techniques. And of course the monthly (recorded) conference calls which allows you to ask questions. The Precision Hypnosis course has been wonderfully inspiring. For me - a hypnotherapist and psychotherapist in practice since 2003 - I'm still learning. Precision is a great word, Mark, because that's what your course offers: cutting edge bang up-to-date precision learning. The tools and confidence I've gained are delightful. I'm a huge fan of Uncommon U. Really appreciate the effort you guys have put into the course and all the bonus material. Love the 'Confident Hypnotherapist' session; will be listening often, leaves me smiling. Oh and thanks for the watch, very nice. Haven't used one for years but did on Friday with two clients. Honestly they were fascinated and it proved very effective; will be using it again. Bree Kearns MICHP, Consultant Hypnotherapist Psychotherapist, Bray, Co Wicklow, Republic of Ireland. Precision Hypnosis has helped me as a therapist overall in many different ways. Everything was amazing in this course, from the material to the exercises. I really like how this course used multiple methods to help teach, and it was incredibly useful and valuable. I'm now using the conversational style of hypnosis in essentially every session. This is one of the best courses to improve your overall therapeutic efficacy. Vikram Manoranjan, Mental health therapist, Portland, Oregon. A thoughtfully written course, which cuts through the grime to produce clean, clear, flowing language in which to fully participate alongside your clients. It also makes you laugh, which is an added bonus. Definitely recommend the course, money well spent. Sarah Byrne, freelance hypnotherapist, Manchester, UK. What a course - I have always found Uncommon Knowledge courses brilliant and challenging in the sense of... I have learnt so much and can be so different from what I have learnt so far even though the content was the same... words can be such an art and have such a different meaning - all because of the interpretation one can put on them - I knew this and understood it and yet found my own journey here at times a challenge and self exploration of what my understanding to be of what is being said... having to resit the test at the end a couple of times. Although I may not "get it" at first even though I already have learnt it and practice... it's this new challenge that awakens and embeds permanently. Many thanks again for the insight. 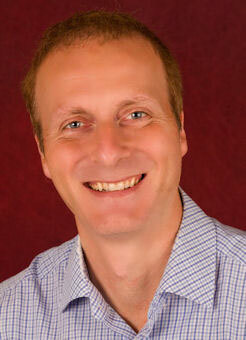 Lee Gale, Counsellor/Hypnotherapist, Melbourne Australia. I was so happy when I got the "Congratulations" reply when I submitted the final test, that I got tears in my eyes! Yes, we sign up/ pay for the course, but as I see it, you have actually given us a gift - one that so truly will keep on giving! The knowledge that you have shared is just amazing - I am so grateful and appreciate your dedicated instructions very much. I printed out each lecture and consider them to be my # 1 resource and guide. Pauline, Hypnotherapist, New Hampshire, US. This course more than exceeded my expectations and is a must for any therapist who really wants to get to grips with using cutting edge skills in hypnosis. I have learnt that there is much more to conversational hypnosis than I ever imagined possible. All of the supporting materials are excellent, particularly the videos which are invaluable in their demonstrative content. As per usual, the teleconferences were packed full of knowledge, were easy to understand and great fun too! Uncommon Knowledge have really pulled out all the stops with this one - well done Mark and Joe!! I thought the course was excellent and covered a great deal of ground with wisdom, depth and compassion. It was innovative, thoughtful and practical and I am incorporating some of the new learnings with great success. This is my first internet course and I think it tremendously exciting that such a comprehensive, high calibre course can be enjoyed here in my tiny home office in the rainforests of western Canada. I plan on taking more. Thanks a million for all your good efforts and for reaching out over the internet Mark, Joe and Kirstin. It's been great. I have an unpredictable schedule and it was a luxury to be able to participate in the live conference calls or fall back on the recordings if necessary. Using written, audio and video seems like a wonderful combination, reinforcing learning. Being able to have all the material downloaded for further review is great as I will have to go back over areas identified in testing that I did not absorb likely due to my workload being higher. I've been involved with hypnosis for 67 years (I'm 80). I've taught it for nearly 20. I've taken courses all over the world. Never, never have I had so much fun as taking your course. I learned so much, enjoyed the thought processes created, and had a load of fun. I learned why some of my techniques have been so successful(!) Thank you. And you've left me with enough polishing techniques to use for the rest of my life. It was a great workshop! The best hypnotic workshop I have ever been in. I have already done a "shock induction", for example, and have used a powerful reframe for a woman who has a very cluttered and messy house to keep her from having an "empty nest". She is very excited about the changes she is making. I so like your approach to the subject, psychology as well as hypnosis. I also very much like your friendly and "casual" approach to teaching, which makes it so much more enjoyable and interesting. Of course, as I expected, the standards are high and I really learned a lot! You people are so good! Thank you very much for this course! I really liked going to the depth of known principle, and really understand them on a different level. I found a dramatic change while sitting with clients. Instead of going down a familiar path I go into a fascinating journey with the client, and I have no idea where it will lead us. But I have the confidence (and knowledge) to give the right suggestion in the right way and the right time. The responses and the results are really encouraging. I am so glad I found Uncommon Knowledge! I found this whole Precision Hypnosis course fascinating, and the presenting of it was excellent and held my attention throughout. Mark and Joe are very engaging and funny, and really adept at putting their points across in an easy to understand way. This is the second course I have done now with Uncommon Knowledge and because I have learnt such a lot from these courses, I will definitely be doing the 'Depression' course at some stage in the future. Thanks guys! I enjoyed that the course could be done on my schedule WITH support if I needed it. It's a lovely refresher that I will download and save to replay once or twice a year. I work alone as a hypnotherapist and it was lovely to be temporarily engaged with others who are enhancing their skills set. I used to be the internal education manager for IBM in the UK and from that critical/analytical viewpoint would like to say that you have been very professional indeed in both creating and executing this course. You have tried to ensure that the material was not just transmitted but understood and remembered. You both have a pleasant, easy style of delivery and worked very well together. Thank you both for your obvious commitment and personal integrity - you are both making a significant difference to people - practitioners and clients alike. Both Mark and Joe are excellent lecturers and demonstrate both knowledge and the ability to relate pertinent examples from there past work in the field. Also the videos were interesting and instructive. The course was a good progression from 'Uncommon Hypnotherapy' and answered many questions that occurred to me whilst re-reading the past notes. Thanks to all at Uncommon Knowledge, and I hope to continue my studies, with yourselves, in the future. My first exposure to hypnosis training was last year, 2008 with 'Hypnosis Unwrapped' which I considered very worth while as an introduction. With out the particular structure and content of 'Precision Hypnosis' as a necessary and meaningful follow up, I would however have found myself far less empowered to integrate new perceptions within my existing family therapy practice. Secondly, I have found your approach supportive albeit that in comparison with other trainees, I have not had that much practical experience of [closed eye] hypnosis. However, remember hypnosis [going into the REM state] is a fundamental and integral part of ... new ... patterns of behaviour". The instructors clearly know the information inside and out, and they were also very willing to answer any and all questions. The information was challenging, but it was presented in a very logical, step-by-step fashion, so I felt quite capable of understanding. I like the informal approach, although there was plenty of serious points made, in a very succinct manner. This type of approach in Hypnotherapy fits in with the style I have in mind to become proficient at, and have used, to an extent, in the past. In an industry seemingly obsessed with behavioural approaches (or at least with the school I studied with) I find this approach refreshing, and very effective. I loved this course and even though I've completed it, I'm going to go back and review everything, there is just so much information in it. Thanks Mark and Joe! Precision Hypnosis is a course for serious practitioners presented in a relaxed, simple, practical and realistic way. It is generous with its extended supplementary materials and provides excellent opportunity to see real hypnosis in action. Estelle Godsman, Retired, Victoria, Australia. Mark and Joe will talk you through new research that shows how suggestible everyone is - including you. Knowing this information will give you the confidence you need to use hypnosis much more elegantly and conversationally. You'll learn the most effective ways to build deep rapport, not just through mirroring and matching people's body language, but ways you can build rapport verbally, even in a recording. They'll also be teaching you a powerful and rarely taught technique called 'seeding'; a way of indirectly building positive expectations and beliefs in clients that support the change they want. This is something that master therapists use to dramatically increase their success rate, but it's invisible to the untrained eye. You will learn about the true nature of hypnosis, how it relates to the REM state that we go into when we dream, and how it relates to the sense of being fascinated and transfixed by someone's communication. You'll learn how you can hypnotise someone just with your body language and tone of voice, and in everyday conversation. They'll be explaining the key phrases that instantly trigger a hypnotic response in people and how you can make all your communication more fascinating and suspenseful. They'll also be covering the reasons why spending half an hour having a nice polite chat about your client's problem doesn't help most clients at all, and what you need to be doing instead. Mark and Joe will teach you about how fundamental emotions are in the way we think about things and the way we make decisions and how if you don't shift people's emotions, their thinking will often remain fixed. You'll learn how to evoke positive, resourceful emotions in people conversationally and three powerful ways to intensify and utilise these resources to create change. You'll also find out the secrets to how the famous hypnotist Milton Erickson used stories and metaphors and how you can easily create your own to influence and change people. You will learn the foundations of creating lasting therapeutic change and how all hypnotic and therapeutic techniques come down to two things: splitting and linking. Splitting is a way of detaching a person from their problem so that it just doesn't feel like part of them any more. Linking is a way of connecting people to their resources and linking those resources to the future situations where they'll need them. You'll be learning ways to use your language and gestures to have a problem dissolve in the space of a conversation and to leave people feeling much more resourceful in situations that would have once caused them problems. Mark and Joe will teach you how to create any hypnotic phenomena - time distortion, amnesia, anaesthesia - with confidence and ease, and they'll be explaining the value of hypnotic phenomena and how they can amplify your work. You'll learn how to confidently speak to someone's unconscious mind and ways you can do that naturally in everyday conversation. You'll find out the reason why most hypnotherapy involves closed eyes and deep relaxation, why this isn't always necessary to create change, and why it can be a valuable part of a session. And finally, you'll learn how to put all of these skills together to become a truly great therapist or communicator. You get immediate access to the course materials, including a welcome video from Mark, and access to the comments section where you can introduce yourself to your fellow delegates, and to Mark and Joe. You can begin Session 1 immediately, during which you'll learn about a powerful and rarely taught technique called 'seeding'. You listen to the audio lecture for the session and download the materials (which you will also receive by mail), complete a short test and exercise. You move on to Session 2, and so on through the sessions. 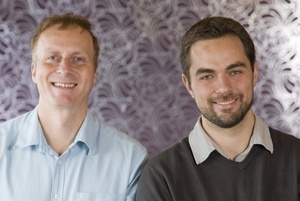 You dial in for the first Q&A call and get to 'meet' Mark and Joe and the other practitioners on the course. Or you wait until after the call and download the audio to listen to at your convenience.